To the Adirondacks I go! 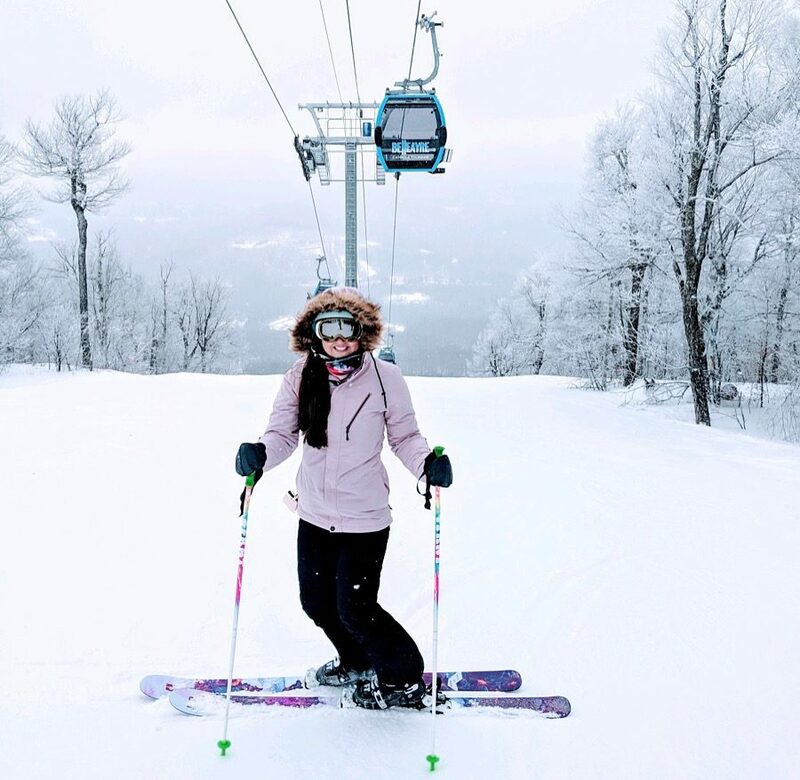 Break out the light jackets, and get your goggle tans on while you can! Spring skiing is here for a few days. Yesterday I hopped in the car and drove up to the Adirondacks to spend the day at Gore Mountain. With warmer temps I was excited to hit the slopes with some lighter gear on and have some fun in the soft snow. I can’t complain about the spring like temperatures after last weeks freezing weather, so I grabbed my sunglasses and rolled with it! Not many people were at the mountain, that’s the best thing about being able to ski midweek! You get an awesome parking spot and no lift lines. The whole mountain is yours! I spent the day skiing all over the mountain, from one chairlift to the next and getting a little lost in between. It was a great day to let the skis lead the way. Each trail was a new adventure and I had no complaints, each trail was fun. I am a huge fan of spring skiing. I also made my way over to the terrain parks to hit some jumps and watch other people hit the rails…I’m not a big fan of rails…or falling. People were out enjoying the sunshine and warm temps on the mountain and sun bathing on the deck. I love being able to hang out on the deck and not in the lodge when temps permit. I did not want to get off the mountain yesterday but unfortunately 4 o’clock came around and the lifts stopped spinning, a sad sight after a great day on the slopes.